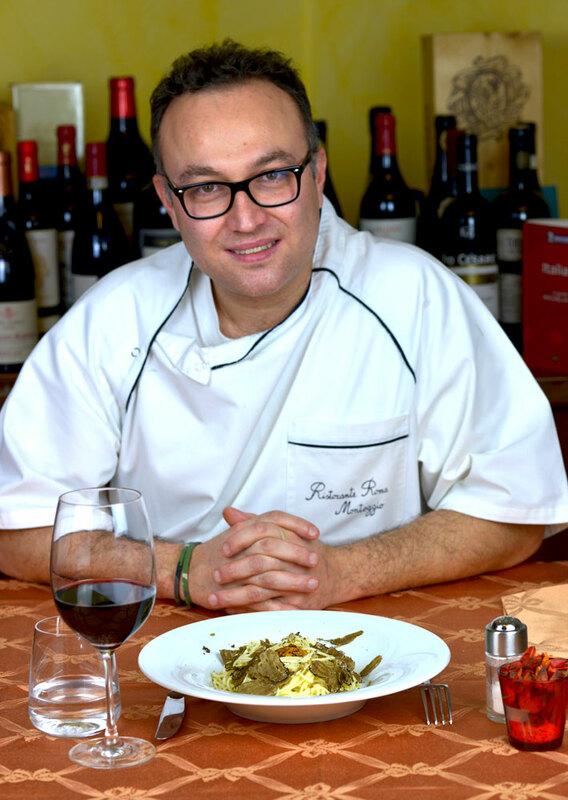 26 Modern Recipes from Pastificio Artigianale Alta Valle Scrivia- A Journey through our 26 shapes through Ligurian Traditions and Modern Recipes, with Stefano Torre from ‘Ristorante Roma’ Montoggio (Genova). 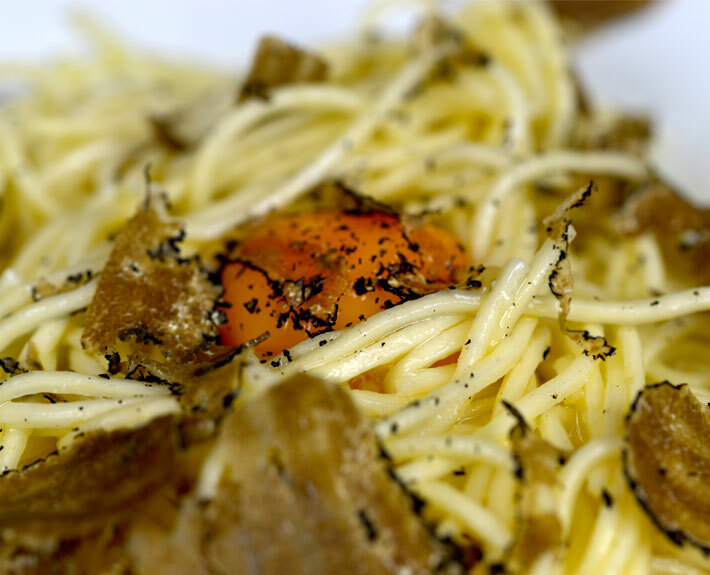 50g of whole black winter truffle (tartufo nero pregiato). Either buy ready-made truffle butter or make your own by mixing 100g of butter with as much finely grated black truffle as you want to impart a subtle truffle flavour to your butter. Gently melt by warming in a large high-sided frying pan which you will use to dress the pasta in later. Cook the TAGLIERINI for the time indicated on the packet in abundant salted water until ‘al dente’. Drain, keeping back a bit of the cooking water and add to the butter in the pan. Keep on a low heat and stir to coat, adding a bit of the cooking liquid if it seems too dry. Using a large serving fork make deep nests on the individual plates. Add the yolks to the middle of the nests and shave black truffle over the top. Serve. We recommend mixing gently before eating to blend the flavours. A Production by NGAME and iBANANA, genoese music Trio Universal “Boogie da Manoelinn-a” kindly lent by DEVEGA available on Amazon and iTunes.